After nearly five months of evidentiary hearings, a former state Judge has recommended a key state permit be issued to the University of Hawaii to allow construction of the Thirty Meter Telescope on Maunakea in Hawaii. 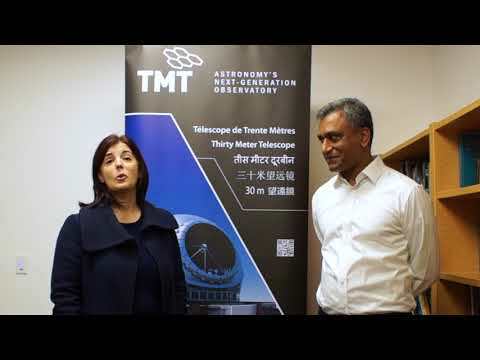 Clearing a major milestone to construct and operate the Thirty Meter Telescope (TMT) in La Palma, Canary Islands, the TMT International Observatory (TIO) and Instituto de Astrofisica de Canarias (IAC) sign a hosting agreement. Design of the Thirty Meter Telescope’s IRIS (InfraRed Imaging Spectrograph), recently achieved a major milestone. The IRIS design team successfully completed the first of two slated Preliminary Design Reviews, which spanned the complete opto-mechanical design for the instrument. Additionally, the full set of operational concepts as well as all system and subsystem level design requirements and interfaces were presented. 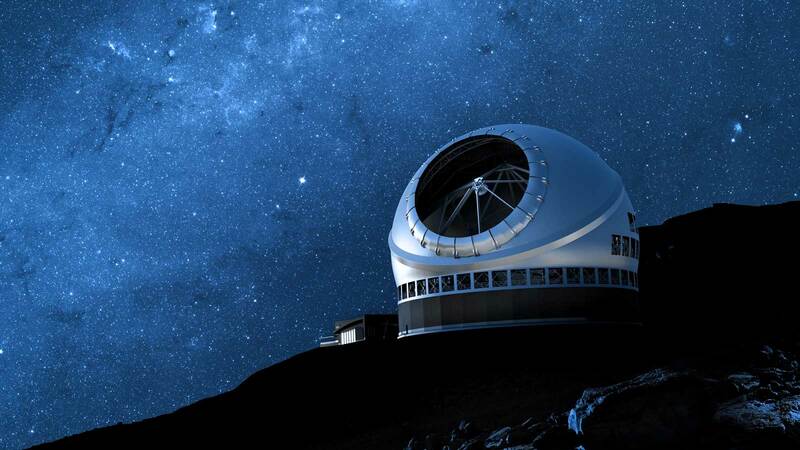 The TMT International Observatory Board of Governors met last week to discuss the progress of TMT in Hawaii and to consider potential alternate sites. Kyoto and Tokyo, Japan were gathering places for TMT-related scientists, engineers, educators and public communications experts from around the world to discuss and plan the future for TMT during the 2016 edition of the TMT Science Forum. A new document describing the transformational science the Thirty Meter Telescope (TMT) will enable has been released. TMT is a powerful, next-generation astronomical observatory that will begin scanning the skies in the 2020s. TMT will host an Open House at the annual American Astronomical Society (AAS) meeting in Seattle, WA on Monday, 5 January, at 5:30 pm, in room 6B. TMT and NOAO will host the second TMT Science Forum at Loews Ventana Canyon Resort in Tucson, Arizona on July 17-19, 2014. The TMT Science Forum is an an annual gathering of astronomers, educators, and observatory staff, who meet to explore TMT science, instrumentation, observatory operations, archiving and data processing, astronomy education, and science, technology, engineering, and math (STEM) issues. The Thirty Meter Telescope (TMT) Scientific Advisory Committee (SAC) has instituted International Science Development Teams (ISDTs). These have been established to foster scientific collaboration across the TMT partnership and beyond, into the broader astronomical community. The Thirty Meter Telescope (TMT) project announces today that all of the scientific authorities of the TMT partners have signed a Master Agreement. The Master Agreement document establishes a formal agreement amongst the international parties defining the project goals, establishing a governance structure and defining member party rights, obligations and benefits.